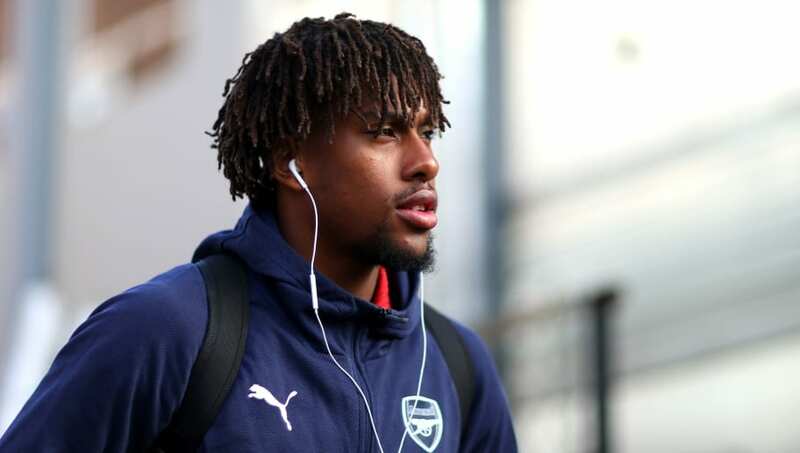 Arsenal's Alex Iwobi has revealed there has been a change in mood at the club under new manager Unai Emery this season, and has claimed the Gunners have become 'one big family'. Emery's side have bounced back in style after early defeats to Manchester City and Chelsea in the Premier League, and have gone on a 14-match unbeaten run since the opening days of the new season. ​Iwobi's form has improved dramatically under the new leadership, and the Nigerian international puts both his own performances, and the club's improvement, down to the work done by Emery and his coaching staff. Speaking to the ​club's official website, he said: "It's basically a family and we're all fighting for each other, not just for the manager and the players, but also for the fans. "It's one big family and we're always going to fight for each other. We're putting in an extra shift, not just in matches, but in training as well. "Unai's very intense in training and he's demanding because he knows how good we are. He always wants us to be at 100 per cent, giving our best." After breaking onto the scene in the 2015/16 season under Arsene Wenger, Iwobi's progression seemed to shudder to a halt and there were rumours linking him with a move away from the club. However, this season, Emery has seemingly brought the best out of the ​Arsenal academy product and Iwobi himself has praised the effect the new manager has had on him. Alex Iwobi was the only Arsenal player to complete multiple take-ons against Liverpool. He added: "He's always encouraging me to be positive with the ball, always encouraging me to work hard off the ball for my team as well. "It's not just for me, he's helped out my other teammates as well and has helped every player individually. "He's always talking to them and if it's not him then it's his assistants, the other coaches talking to me, showing me different clips, analysing my game, analysing opponents as well. "His staff are always helping me. He's given me that confidence in games and in training to go out and express myself." Iwobi will likely feature in Arsenal's Europa League clash against Sporting CP on Thursday night, with the Gunners going into the game knowing a win would secure both qualification and top spot in the group.